Quality Key Locksmithing serves the Wichita, KS, region with a full spectrum of home locksmith services and products. Our skilled technicians are experienced and carefully screened. We can change locks, perform deadlock installation, repair locks, and much more. Your home’s safety and security is our priority when you contact us. We feature emergency service so if you lock yourself out of your home, we can be there quickly to help you out. If you live in or around Wichita, be sure to keep Quality Key Locksmithing in mind for all of your home security needs. In addition, we consult with customers to discuss how to best secure their home and belongings. We keep on top of best industry practices and news regarding things like new products. It’s important for us to provide our Wichita clientele with the best possible service. Our customers can rely on our expertise to enjoy more peace of mind in their homes. We carry highly respected products designed by some of the best lock manufacturers in the industry. 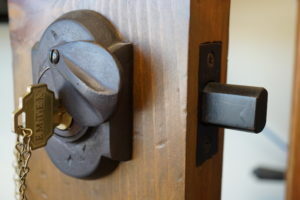 We can install door locks, patio door locks, window locks, deadbolts, and more. We can meet with you to discuss our products and your current lock situation. With new lock installation, you can rest assured that your home, garage, and even your shed is as secure as can be. When you contact Quality Key Locksmithing, you can rely on us for quality service and repair. From doors not working properly to broken keys in locks, we offer the services our Wichita customers need to secure their homes. If you have questions, about our services or products, we hope you’ll contact us to discuss your concerns. We can schedule an appointment at your convenience. We offer affordable rates for superior work. We look forward to serving you.